The best way to do up your pad is by giving your upholstery a makeover. Instead of using plain bright linens, go for something soft and soothing this season. It can simply be a few big flowers in shades of red and green. From bedspreads to curtains, table mats and linens — there is no end to it. Many a times most people use one single colour in their house as the focal point. This trend is passe. Instead use a printed wallpaper to liven up any space in your home — bedroom, living area or balcony as well! Further, these wallpapers are often washable and you can thus keep them clean during the monsoon. Bright colours in yellow, red and orange are in this season. This is also the time of the year when your house looks beautiful if you have greenery around. For those who are fond of a balcony garden, you can create a faux grass and have flower pots placed on the side. If you do not have a balcony, don't worry, you can still go for natural stuff like bamboo, jute etc. Open up the windows of your living room and have jute or bamboo chairs placed right in front of it. You can sip on your hot cuppa chai while watching the pitter-patter of rains. 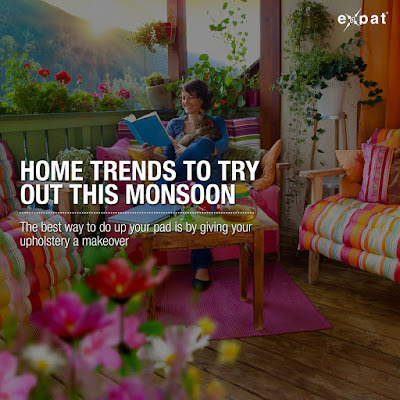 While it is easy to have a carpet placed in your living area and bedroom, you can give it a rest this monsoon. 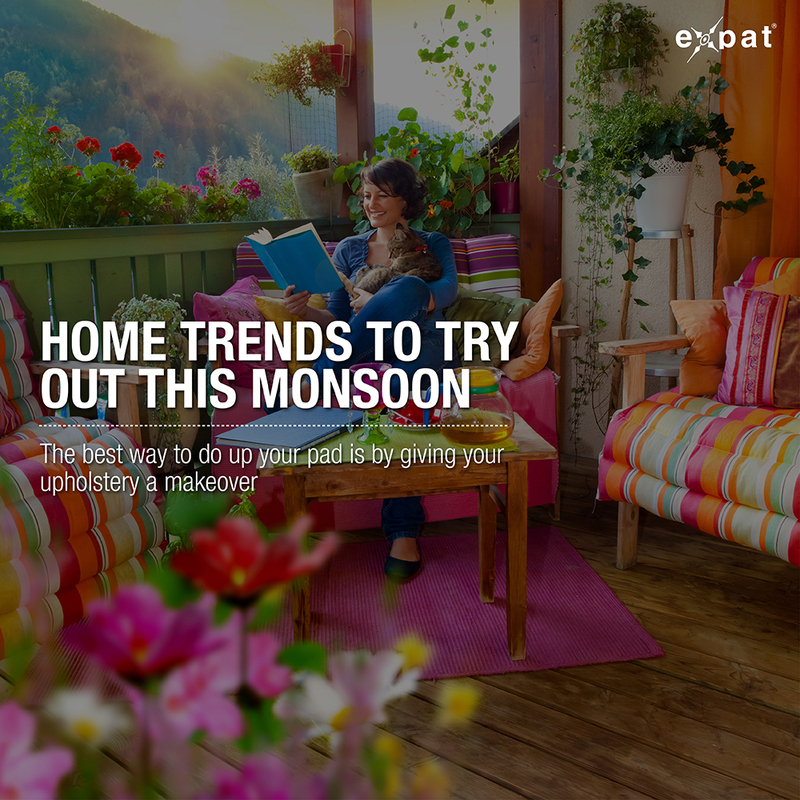 Instead opt for small rugs and durries, which are easy to manage and can be washed during the monsoon, unlike carpets. Opt for ones which are light in texture and won't make your room look clustered. This is that time of the year when instead of sitting on the plastic or wooden chairs in your balcony, you can go in for swings which are made out of bamboo. There is nothing better than getting back home from work and then just sitting out on the swing in your balcony and reading your favourite book or just listening to songs. However, make sure that you don't have a swing which is made of wood, else it will get spoilt with the splashes of rain.